Exciting news! The schedule for games running at Dragonmeet on Saturday 7th December has been posted here and I am delighted to confirm that I will running an adventure called Flotsam and Jetsam under the 4th Edition D&D rules in the morning, with Steve Dempsey will be running the same scenario using 13th Age in the afternoon. I last ran this adventure at #UKT4 back in March and it was a lot of fun, so I'm looking forward to sharing Parsantium with some new players in London. I originally planned to run the adventure as a Pathfinder scenario but the Pathfinder Society have got that system well-covered so the organizers have asked me to run it for 4e. I'll post an update on progress with the book soon. Kate is now back from her trip to India and my final revisions to the text are done, so work can resume on the layout. 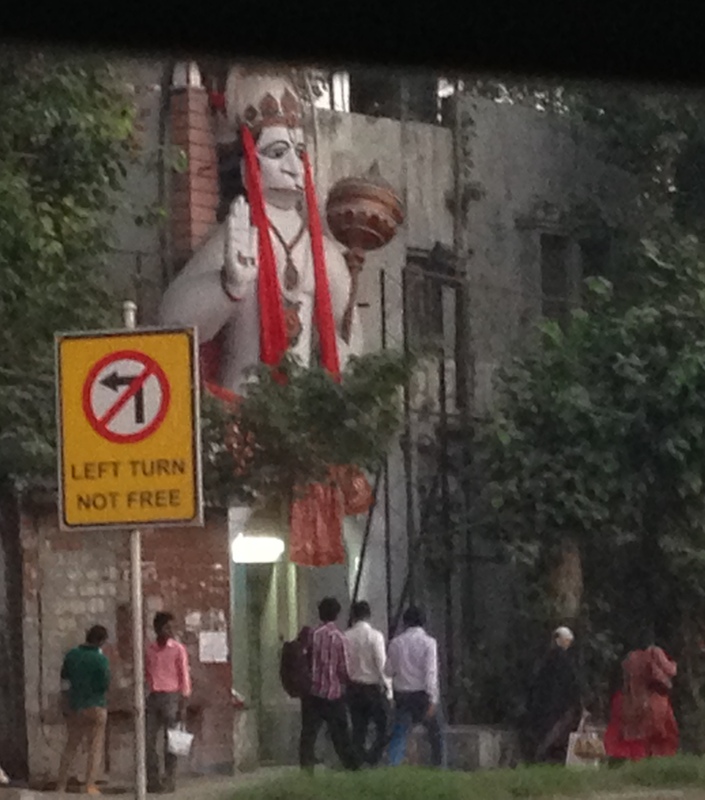 While she was in Delhi, she drove past the awesome temple of Hanuman pictured below.